An recurring theme on the new Flunk album is the darkness, the Arctic dark season enveloping the North in darkness autumn and winter, more or less a full six months. 'Love and Halogen' is a song offering love and light as the solution to get through the winter. Curl up, kiss and make amends. It's also about the good and the bad, and Charlie is the innocent soul trying desperatly to force light into the eternal night. 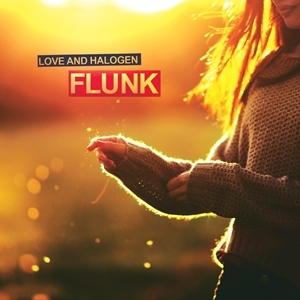 'Love and Halogen' is typical of the new album, in a way that is features the combined input of all four 'Flunksters' and that it's been developed in rehearsal sessions. And it's designed to make you feel good.